Carla J. Cargle is originally from Gary, Indiana where she was educated in the Gary Public Schools. Carla received her undergraduate degree in Finance from Hampton University, Hampton, Virginia. She furthered her graduate studies in the Executive Master’s of Business Administration program at Houston Baptist University in Houston, Texas where she presently resides. Since 1992, Carla has been a practicing Financial Advisor and has served her clients with humility, integrity, wise advice, humor and first-rate quality service. Carla holds the Series 6, 63 and 65 FINRA securities licenses and the General Lines Insurance license. Carla is the author of “The Financial Truth” ™ book series and the National Urban League’s nationally acclaimed Economic Empowerment program entitled, “Know Your Money”. Programs written and taught by Carla have impacted over One Million Americans since the year 2002. Carla hosted the internationally applauded internet talk radio show; “The Financial Truth with Carla Cargle” on the VoiceAmerica network in 2007 reaching listeners around the world. Carla is a member of the National Association of Insurance and Financial Advisors where she has served on the Board of Directors, Houston chapter. In addition Carla is a qualifying member of the Million Dollar Round Table. 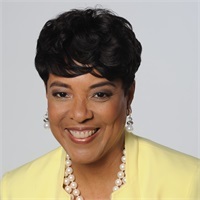 As well Carla is a Silver Star member of Alpha Kappa Alpha Sorority, Inc. She is featured in the 2007 inaugural edition of Who’s Who in Black Houston. Carla is celebrated with awards and honors throughout her community.